I have loved these since childhood. 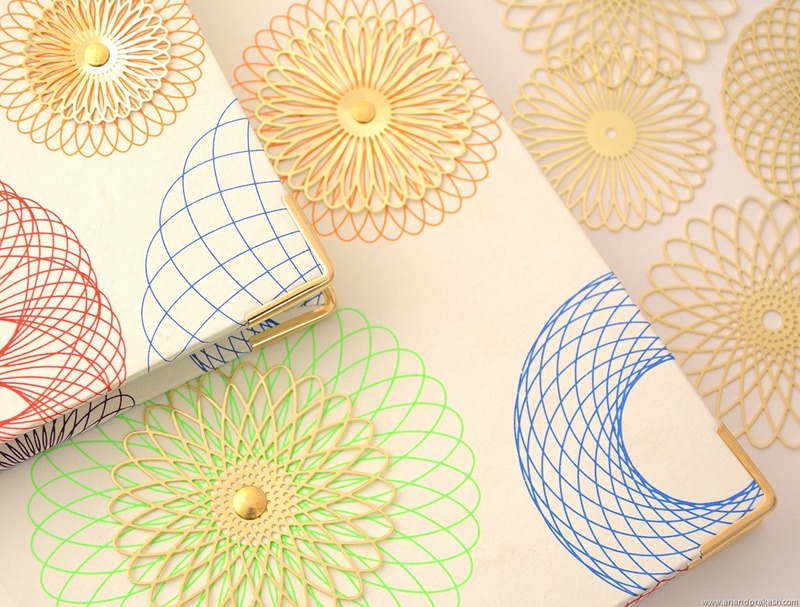 It brings back beautiful memories of lines, complex curves, gears in different sizes and coloured pens. Hypotrochoids are mathematical curves traced by a point in a circle(your pen) rolling around the inside of a bigger circle. These curves have been studied by mathematicians for centuries. 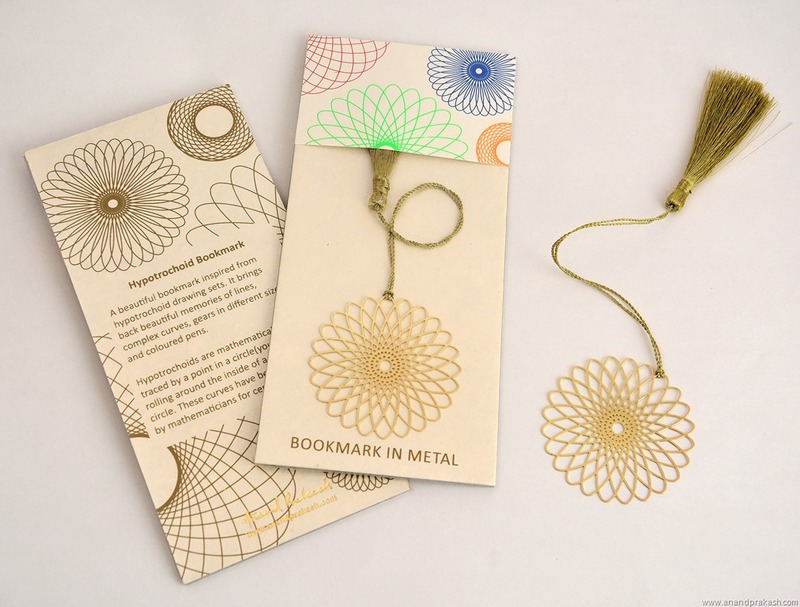 The below range of bookmarks, handmade journals and envelopes have been inspired from hypotrochoid drawing sets. 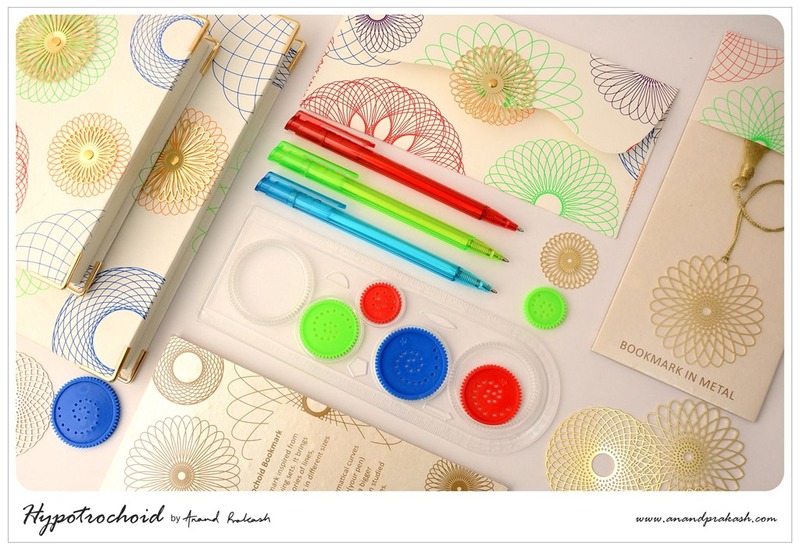 This entry was posted in Whats New and tagged Anand Prakash, Bookmarks, Handmade Journals, Hypotrochoid art set, stationery. Bookmark the permalink.